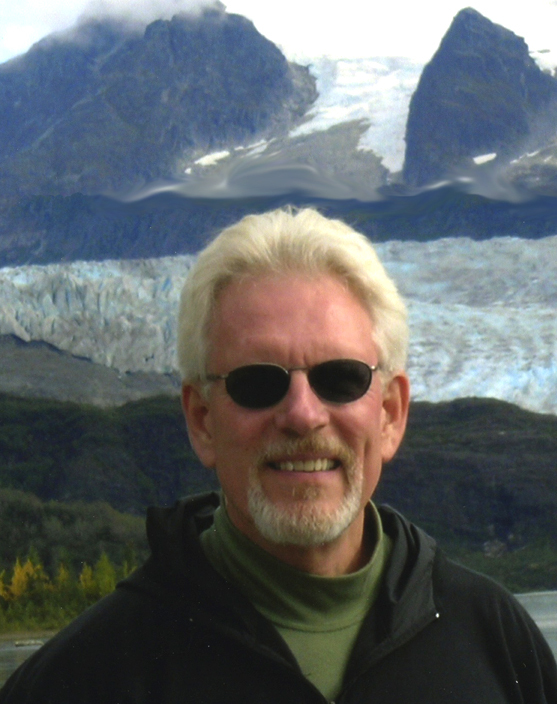 While I did some hiking and camping as a kid and a little bit more when I was stationed with the US Air Force in Alaska in the 60’s, it wasn’t until after a cancer diagnosis at the age of 51 that I left my Walter Mitty over-stuffed couch, yanked on the boots, picked up the sticks and set out for the “Big” mountains. After certification in technical climbing by the Alaska Mountain Guides and Climbing School in Haines, in 2000, I trekked to the Mt. Everest Basecamp and the Summit of Mt. Kalapathar in Nepal in 2001, and reached the summit of Mt. Kilimanjaro via the Machame route in 2006. I’ve also done high altitude hikes in Colorado, Switzerland and a couple up-and-downs on the dangerously misleading Mt. Washington in New Hampshire. The Peruvian Andes trek makes 5 mountain adventures on 5 continents. All filled with memories of wonderful trail companions and precious freeze-frame reminders that life is lived in moments…not years. After several hours of trekking, the rocky road was narrowing, energy was draining, elevation was climbing and the temperature was dropping. 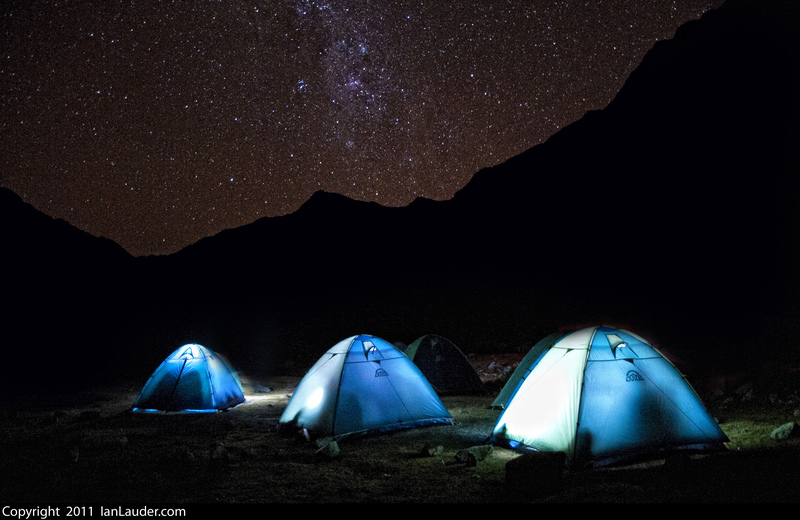 It was our first camp after leaving Cusco, the ancient capital of Peru. Left behind were 16th century Spanish cathedrals, little boys selling postcards, weathered old men hoping to shine boots and pretty little girls selling pretty little stuffed dolls. And, also, of course, clean sheets, bottled water and a warm bed. 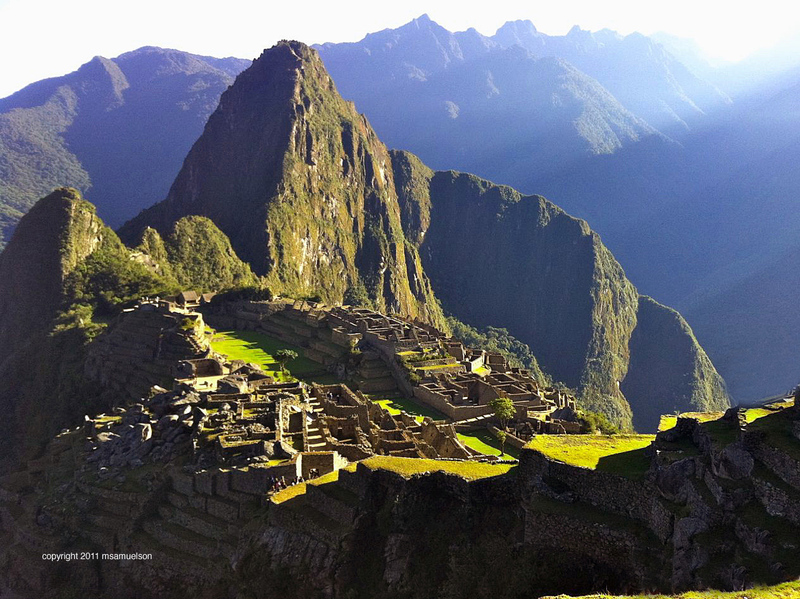 Destination: A centennial celebration visit to the ancient ruins of Machu Picchu via the “less traveled” Salkantay Trail in the magnificent Peruvian Andes. How could I see anything other than a dense, glorious blanket of shimmer and sparkle? I’m looking at a night sky from my distant past. The same night sky I remembered from summer nights at Lake Erie. A time when the Yankees owned their cross-town rivals. A time when thoughts about Suzie Whitmore caused joy, stirrings, confusion and other things that I couldn’t share with Sister Mary Louise. A time of deeply personal, imaginative, emotional honesty. Jamie’s encouragement to “look up” is offered to a slightly stooped, quietly aging, snow-capped mountaineer with failing eyes and knees, but is heard by a wide-eyed little boy transfixed and energized, once again, by the wonder of it all. Of course it wasn’t at all like a July, Lake Erie night in the 1950s. The few times I’ve been south of 22º N latitude Jamie wasn’t there helping me read the southern skies. Before that night on the dusty and rugged Salkantay trail to Machu Picchu, I had never seen the beauty of the Crux, or other southern deep-sky splendors such as the Coal Sack, the Jewel Box, the Eta Carinae Nebula, the Wishing Well Cluster, the Southern Pleiades, Alpha Centauri or Omega Centauri. Who needs the Yankees or even Suzie Whitmore when night treasures like these can be yours just by opening one’s eyes and looking up with a child’s endless wonder? Over the next several days, Jamie Vasquez and our American guide from International Mountain Guides (IMG), Kelly Ryan, would go on to safely guide us through the Salkantay Pass, along dangerous narrow ledges, up and down rugged mountain trails, over rickety bridges and on into the ancient ruins of Machu Picchu. Ever the teacher, Jamie enlightened and entertained us with running narratives about Inca history, local customs, sacred mountains, coca leaves, chicken calls, the proper way to eat passion fruit, the Amazon Cloud Forest, myths, legends, flora, fauna, Pizarro, Emperor Pachacuti, Hiram Bingham, the secrets of ancient stone architecture and a new way to think about orchids. Yes, all that he said (perhaps not the pipe smoking part…) and more. Often I am asked, “Why?” Why do I do this? THIS meaning moving out of a predictable and defined comfort zone and smack dab into the path of who-knows-what swinging guaranteed discomfort and potentially life-threatening danger. Well, if you haven’t walked a mile in these moccasins or stumbled a kilometer in these boots, no answer I give will make sense. However, if you get the boots part, you won’t feel a need to ask the question and my guess is that we have probably shared moccasin trails somewhere along the journey. That said, beside the beauty and adventure, it’s the people, my brothers and sisters on the trail. Jamie was not the only teacher on this pilgrimage. In the course of my sixty-three years, I have learned the importance of paying attention to my fellow travelers, of learning from their words and — more important — their actions and intentions. Not unlike the travelers of Chaucer’s Canterbury, let me now introduce you to my forever-memory-friends and the wellness life-lessons they demonstrated on the trail to Machu Picchu. BTW, we all have forever-memory-friends that have taught us wonderful life lessons. I encourage you to sketch your own short profiles similar to those presented below. So, how exactly do you wrap a 130-word description around a man as big as Doyle? Physically big, sure; north of both 6′ and 200lbs. Seattle Seahawks TE big, but with a heart and spirit much bigger than that. “Loose gravel, ahead, Mike, be careful.” “Narrow at the bend, keep to your left.” “How’s your knee holding out?” “Do you need more blister pads?” Always a smile and always conveying a sense — a real sense — that, should you need anything, he’d help in anyway he could. Not in a conscious this-is-what-I-should-do way, but an automatic, natural way that comes from…what? A good small town Texas upbringing? A great life-partner? Wonderful friends? Innate sensibilities? Lessons from the athletic field? Intentionally nurtured core values? Experience as a dad and grandfather? The luck of the draw? The sum impact of years of living, discerning, teaching, learning, frustration, joy, disappointment, success, failure, discipline, sharing and loving? Yeah. All of that. Wow. Where do I begin? I’ll just put fingers on the keyboard and see where this goes. Woman: Determination is thy name. Solidly anchored at the intersection where tenacity meets a stonewall, Judie presents the most powerful blend of drive, sense of purpose, indomitable spirit and intellectual curiosity that I have ever encountered on any mountain trail. At one point, a badly jammed big toe forced her to take the short train ride from Vilconota (the hydroelectric station) to Aguas Calientes (Machu Picchu pueblo) while her companions walked the two-hour path along side the tracks. Well, not ALL of her companions walked. One other trekker, me, along with Kelly, also rode the train. I gleefully welcomed the opportunity to take the train and rest my aching knees. Judie, however, while forever pleasant, was clearly disappointed. Intellectually she understood the need to avoid further damage to her toe but emotionally she didn’t want to miss a single footfall on the trail to Machu Picchu. A veteran marathon runner, cyclist, disciplined fitness aficionado and overall ferocious consumer of all that life has to offer, Judie was not in the habit of truncating challenge nor did she let a black toe hold her back for long. Once we arrived at Machu Picchu, she was at the front of the pack hiking the steep steps, traveling the narrow trail to the ancient drawbridge and testing Jamie’s recall of all things Inca. Of course I felt an obligation to drag along at the back … lest anyone was tempted to move too fast. Oh, did I forget to mention that Judie is Doyle’s wife and she, too, is seventy? Yep, seventy, looking forty and traveling the trails like a kid on college break. And, by the way, while other couples may choose to celebrate milestone events like a 50th wedding anniversary by sitting at a seashore sipping fruity cocktails, Doyle and Judie elected to mark their five decades of predominately sunny trails by trekking rugged mountain switchbacks, musing life’s mysteries in a tent under the Southern Cross, and retracing the steps of ancient Inca emperors. On every mountain expedition there are rabbits and there are turtles…some dressed better than others. There were times on the trail when I couldn’t tell if the dust plume was caused by the mules and horses heading back to their corrals or by John racing on ahead like a young colt feeling his oats. High energy, enthusiastic, attentive, friendly and uncomplaining are just some of the ways to describe John. He was also fully into the culture, sporting local garb with the flair of a high price Peruvian model — yes, sure, “model” that’s the word — on holiday. Hat, sweater, ring, pants and colorful tote transformed John from just another foreign trekker into a walking advertisement for festive Peru! And, fortunately, he also has a great sense of humor. Well, the cliché about the broken record is becoming increasingly apparent. Dignified, gentle, strong and intelligent best describes Linda. So do the words: funky, spunky and energetic. Also very compassionate. Naturally concerned about her two-legged companions but VERY concerned and attentive to the growing problem of stray dogs that take to the Peruvian streets, landfills and trails, as well. “Don’t feed stray dogs!” Don’t feed stray dogs? Yeah, right. You tell her, not me! As for her fitness, I was struck by how fluid and efficiently she moved. Like her dear friend, Judie, she is an elite athlete with over 30 marathons entered and completed. Again, while other folks past the age of sixty are checking the Gray Line tour schedule, Linda and John are planning their next mountain expedition. Maybe watching the sunrise from the summit of Mt. Kilimanjaro in Africa? Or, perhaps, visiting sacred Buddhist monasteries while trekking to the Mt. Everest Base camp in Nepal? Rest assured that no moss will grow under their boots and no dust will cling to their hiking sticks. A gentle, burly mountaineer of Scottish heritage who wears kilts, but, no, not on the trail — chafing, you know. Duh. And, when it’s cold, he covers his shaved dome with “Where the Wild Things Are” headgear. Yep, that’s Ian. And, of course, it’s not ALL that Ian is but it does paint an interesting picture, no? Boy, here’s a guy I’d like to know better. A very talented photographer (his photo at the beginning of this entry) and a great team member with a sense of independence that neither looks for nor appears to need your permission. That’s not to suggest defiance or “Lone Wolf” countenance in any way. More like quiet self-assurance, the kind that neither judges nor asks to be judged. No games, no facade, no hype, no posturing or guesswork. I got the impression that an old soul was wearing those kilts; an old soul who had worn through more than one pair of boots and certainly many pair of brogues along his journey. “Roady” was a delightful travel companion in every way. While I didn’t have an opportunity to speak with Roady nearly as much as I wish I had (another rabbit to this turtle), she always had a smile and an encouraging word for others as she quietly immersed herself in the wonders of the trip. And, even though she and Ian, engaged to be married, are young enough to be the children of the rest of us, they never made us chronologically superior folks feel like we were slowing them down. I enjoyed the bookend feature of Doyle and Judie’s rearview mirror reflections of five decades together and Ian and Rodica’s private, silent — but clearly evident — tender foreshadowing of a wonderful life of love and adventure, to come.